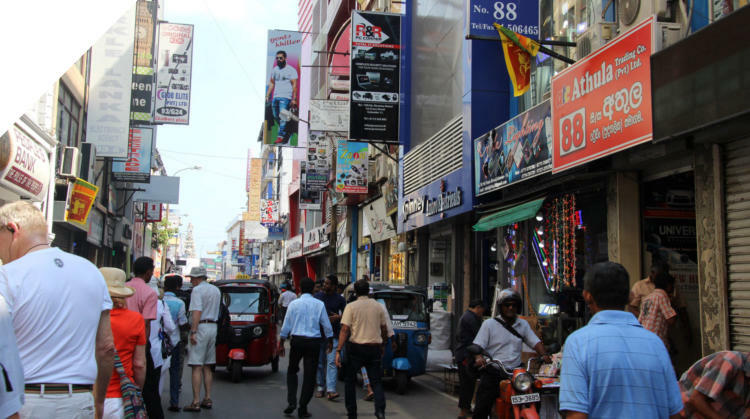 The Tamil word for village is Pettah and this district is a crowded village market with busy narrow streets laid out in a bazaar fashion with each street devoted to a different trade. This important 120-year-old Gangaramaya is not the typical Sri Lankan temple. 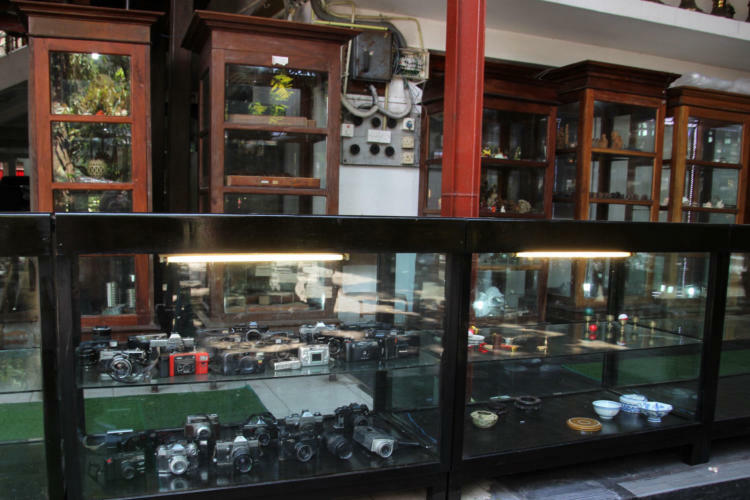 - it’s like a vast treasure-trove museum. 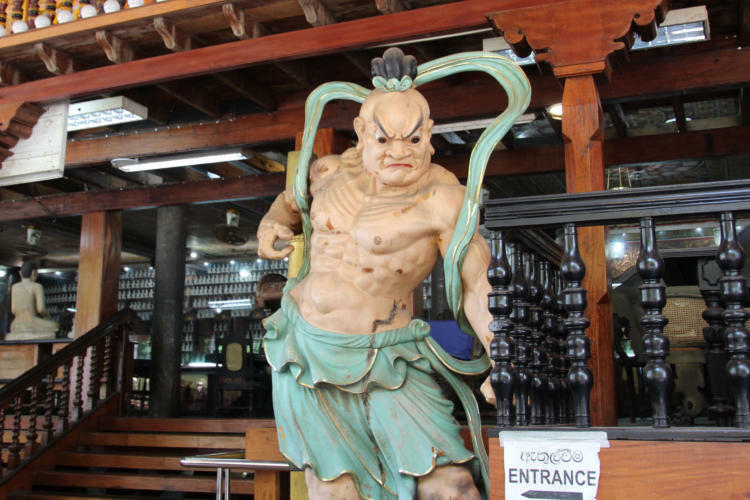 Rather than huge, open spaces and tranquility, there are huge collections of fascinating artefacts including Buddha statues from all over the world along with statues of Hindu gods, old watches, cameras, Dutch coins, ivory carvings and many other antique collectibles. There are even several old cars. The temple is mostly celebrated for its lavish architecture and statues in Sri Lankan, Chinese, Thai, Burmese and many other artistic styles. The centrepiece is a cluster of traditional buildings around the mandatory Bo tree, which grows out of a raised platform. 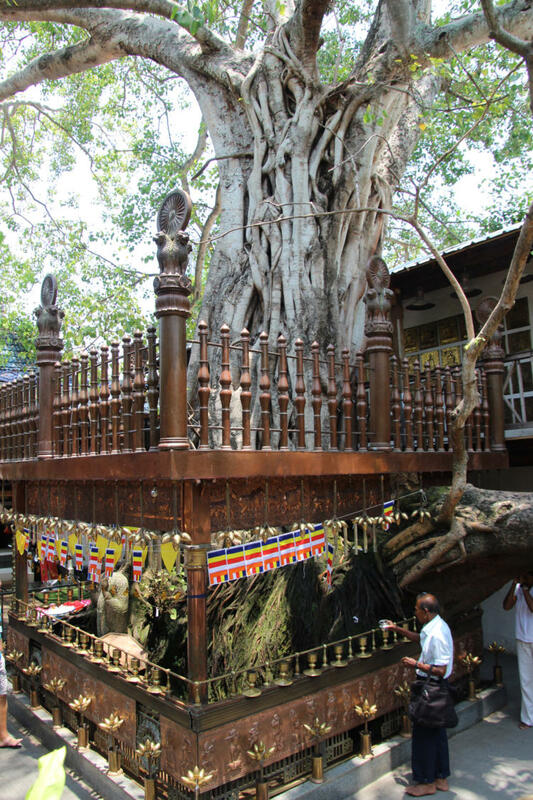 Worshippers walk clockwise around the tree throwing water onto it. The Image House is supported by carved dwarfs in elaborate poses (dwarfs are a symbol of prosperity). Inside is an enormous orange Buddha surrounded by elephant tusks and dozens of other garland bearing Buddhas in various sizes. The temple museum houses the smallest Buddha statue on the island, carefully encased in a glass box, which can be viewed with a magnifying class and several old parchments in very small writing. 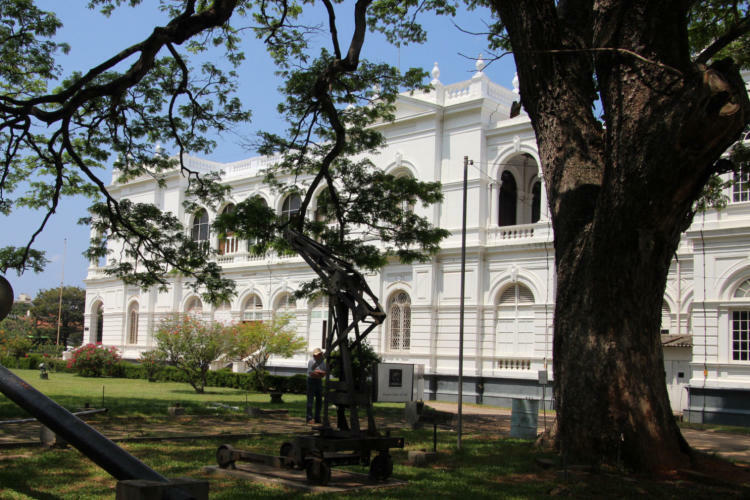 A Renaissance style building that opened in 1877 and houses an impressive collection of Sri Lankan artefacts and works of art. The most unusual religious artefact is the decorated, carved ‘urinal stones’. The throne of the kings of Kandy was housed in Windsor Castle from 1815 to 1934 when King George kindly returned it. Most of the bejeweled and shiny trinkets are gifts from devotees to the temple’s head monk, Ven. 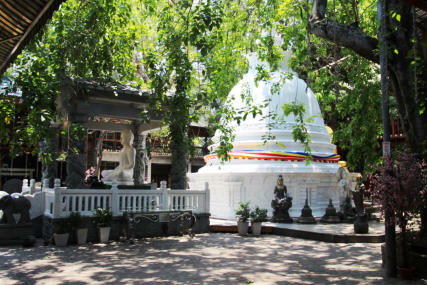 Galaboda Gnanissara Thero, one of the island’s most recognizable religious figures, who assumed administration of the Gangaramaya as a 16-year- old novice monk. 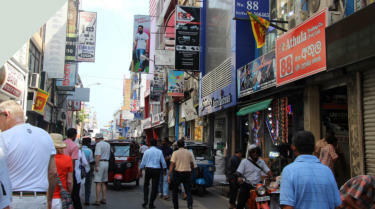 There are also many outlandish souvenirs that Gnanissara Thero gathered from places he’d been to. 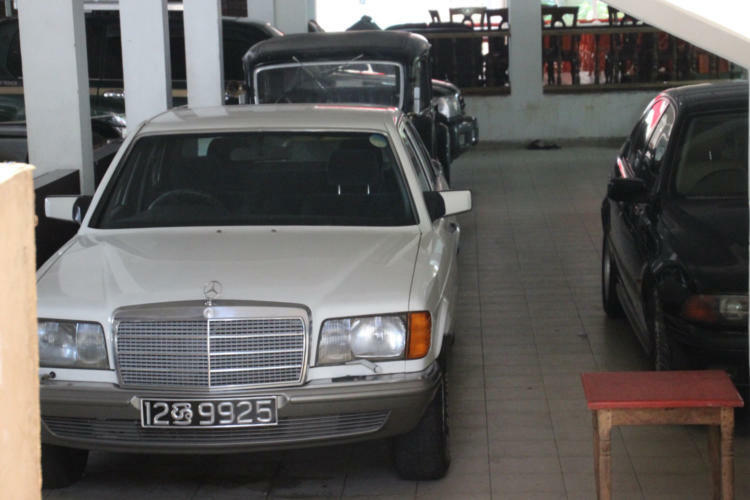 The monk was also an antique car lover with his collection of old Rolls- Royces and Mercedes, including Sri Lanka’s very first Mercedes.